Leeds vs Swansea City predictions ahead of this Championship clash on Wednesday night. Can Leeds pick up three points in their promotion bid? Read on for our match preview and free betting tips. 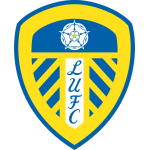 Leeds United gained and lost the lead in the Championship at the weekend. They needed a dramatic equaliser in the 101st minute to edge in front, but Norwich took advantage of two points dropped by the Elland Road outfit to move two clear at the summit. It was an entertaining weekend once again in the fight to take top spot, but who will come through the midweek fixtures with the lead? Swansea are heading to Yorkshire this week, aiming to cause problems for Leeds’ promotion bid. The hosts are in need of a response, as their poor 2019 continued at the weekend. A 1-1 draw with Middlesbrough isn’t the greatest result, and it left Marcelo Bielsa’s team under pressure. They now have Sheffield United and West Brom pushing for a top-two finish, so Leeds are by no means confirmed for a Premier League place. However, they come into this game looking to improve their claim, and they’re being tipped to edge out the Swans at home. The Welsh side have been consistently mid-table since they dropped back down to this level. They’ve not done too much wrong under Graham Potter’s watch, as he’s taken them within six points of the playoff spots. The weekend brought another win for the Swans, as they edged out Millwall with a 1-0 home win. Can they carry that form into this clash with Leeds and cause a huge shock at Elland Road? They managed to play out a thrilling 2-2 draw when these two last met, but can Swansea match Bielsa’s side away from home? This is an interesting game for the Argentine boss, who was linked with Swansea frequently. He seemed like a perfect choice, but he has made great strides with Leeds since joining the Yorkshire side. He’s inspired the club to one of the best records at home in the Championship this season, with 30 points from 15 games. No team has a better points-per-game record at home than Leeds, something they can add to this encounter. Swansea aren’t in bad form on the road, but they were beaten 2-0 at Bristol City in their last trip. That showed once again the divide in their away results. They have five away wins, four of which have come at teams placed 18th or below. They’ve failed to win six of seven trips to top half sides, losing four. Their only big win on the road was at Sheffield United back in August. We see them losing out to Leeds here, having been beaten in their last nine trips to Elland Road. Swansea have only won once away from home at Leeds in all competitions (D3 L15), a 2-1 win in September 1949. Leeds have lost two of their last three league games at Elland Road (W1), one more than in their previous 16 combined (W11 D4 L1). 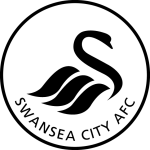 Swansea have lost nine of their last 10 league matches played on Wednesday, winning the other away at Arsenal in March 2016 under Francesco Guidolin. Three of Leeds’ last five Championship goals have been scored in the 90th minute – as many as their previous 71 goals at Elland Road, stretching back to December 2016. Swansea have won just two of their last 13 away league visits to Yorkshire (D3 L8), losing their last two against Rotherham and Hull.